Free public swimming pools are available in practically every area. On those particularly hot summer days, many cities have adopted a great philosophy dedicated to cooling its population down. Most are easy enough to find too. A quick internet search will assist in locating one nearby. 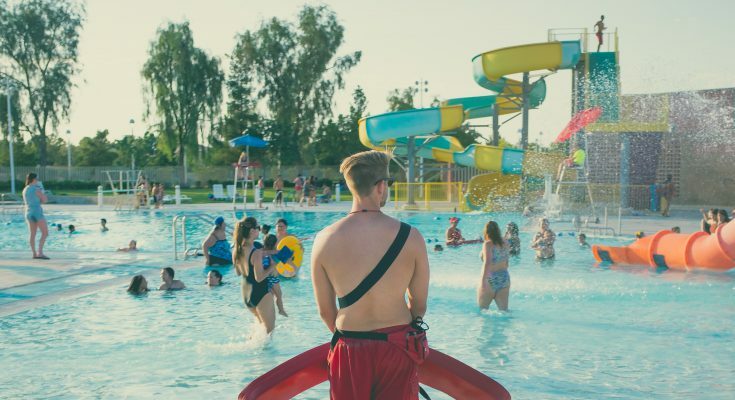 These facilities are equipped with certified lifeguards, security, a cleaning crew, and even free parking in or around these locations. Let’s begin by looking at those in New York City, so we can all go SWIM! New York City has early-bird and night-owl lap swim hours available at select sites. Click onto one of the links to find out which ones have these early hours. These FREE pools also have Free Swim Programs and Learn to Swim. If you do not find what you are looking for Click Here for more information. 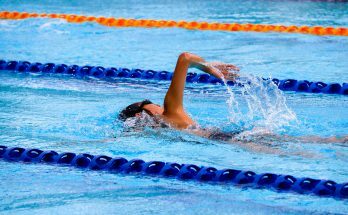 If you do not know how to swim, Click Here for an array of video lessons. Asser Levy Recreation Center – Location: East 23rd Street & FDR Drive, 392 Asser Levy Pl, New York, NY 10010, (212) 447-2023 (212) 447-2027 Becoming a Member: (Outdoor & Indoor Pool) Annual memberships for recreation centers with pools cost $150 for adults, and $25 for seniors (ages 62 and older). Membership is free for anyone under the age of 18. As of July 1, 2013, memberships will cost $25 for young adults (ages 18-24). Brooklyn Sports Club – Location: 1540 Van Siclen Ave, Brooklyn, NY 11239, 718-642-2720 Membership Required. 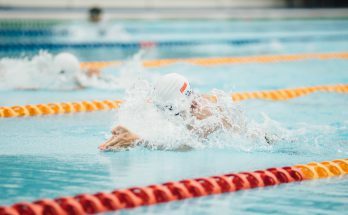 Brownsville Swimming Pool – Location: 1555 Linden Boulevards, Brooklyn, NY 11212, (718) 485-4633 (718) 345-2706Becoming a Member: (Indoor Pool) Annual memberships for recreation centers with pools cost $150 for adults, and $25 for seniors (ages 62 and older). Membership is free for anyone under the age of 18. As of July 1, 2013, memberships will cost $25 for young adults (ages 18-24). Chelsea Piers Fitness – Location: 62 Chelsea Piers, New York, NY 10011, 212.336.6000 Membership Required. Echo Park Swimming Complex – Location: 399 Nassau Boulevards, West Hempstead, NY 11552, (516) 483–7400 Membership Required: District Residents – Family $250, Individual $133, $0 Children 5-9 years-old, Seniors, Veteran, Handicapped $66.50 and slightly higher rates for Non-District Residents. Fairview Swim Club – Location: 6120 Grand Central Pkwy, Forest Hills, NY 11375 Membership & Non-membership fees. Day Pass Fees: Adults 18+ $30 and Children 1-17 years-old $10. Flushing Meadows Corona Park Aquatic Center – Location: Avery Avenue and College Point Boulevard, 131-04 Meridian Rd, Flushing, NY 11368, (718) 271-7572 Becoming a Member: (Olympic size Indoor Pool) Annual memberships for recreation centers with pools cost $150 for adults, and $25 for seniors (ages 62 and older). Membership is free for anyone under the age of 18. As of July 1, 2013, memberships will cost $25 for young adults (ages 18-24). Gravity Fitness – Location: 3802, 123 W 56th St, New York, NY 10019, 212.708.7340 Swim on top of the world. Outdoor sundeck for tanning. Membership Required as well as Day Passes. Imagine Swimming – Location: 40 Harrison St, New York, NY 10013, 212 253 – 9650 Swim school, $47 per class. Metropolitan Swimming Pool – Location: Bedford and Metropolitan Avenues, 261 Bedford Ave, Brooklyn, NY 11211, (718) 599-5707 Dimensions: 75’x30′ Becoming a Member: (Indoor Pool) Annual memberships for recreation centers with pools cost $150 for adults, and $25 for seniors (ages 62 and older). Membership is free for anyone under the age of 18. As of July 1, 2013, memberships will cost $25 for young adults (ages 18-24). North Flushing Pool Club – Location: 141-01 32nd Ave, Flushing, NY 11354, (718) 539-4990 Membership Required: $350 Adults, $106 Children ages 1-18 (with 2 adults), Ages 19-21 (with 2 adults) $125, up to one year-old is free. Riverbank State Park Outdoor Pool – Location: 679 Riverside Dr, New York, NY 10031, 212-694-3664/3665/3666 50 meter indoor Olympic pool (October through Labor Day) & 25 meter outdoor pool (4th of July – Labor Day) Aquatics/Pool Entry Fee: $2 Adults, $1 Children (5-15 years-old) and Seniors, 4 and under free, lap swim pass is $30 per month (morning lap requires lap swim pass). Roy Wilkins Recreation Center Pool – Location: 177th Street and Baisley Boulevard, (718) 276-4630 Dimensions: 75′ x 30′ x 9′ Becoming a Member: (Indoor Pool) Annual memberships for recreation centers with pools cost $150 for adults, and $25 for seniors (ages 62 and older). Membership is free for anyone under the age of 18. As of July 1, 2013, memberships will cost $25 for young adults (ages 18-24). St Mary’s Swimming Pool – Location: 450 St Ann’s Ave, Bronx, NY 10455, (718) 402-5157 Dimensions: 72′ x 39′ x 9′ Becoming a Member: (Indoor Pool) Annual memberships for recreation centers with pools cost $150 for adults, and $25 for seniors (ages 62 and older). Membership is free for anyone under the age of 18. As of July 1, 2013, memberships will cost $25 for young adults (ages 18-24). Tony Dapolito Recreation Center – Location: Clarkson Street at 7th Avenue South, 1 Clarkson St, New York, NY 10014, (646) 300-2271 Becoming a Member: (Outdoor & Indoor Pool) Annual memberships for recreation centers with pools cost $150 for adults, and $25 for seniors (ages 62 and older). Membership is free for anyone under the age of 18. As of July 1, 2013, memberships will cost $25 for young adults (ages 18-24). If you do not see a pool nearby, please leave a comment below and let Swimfok find one for you. Please let me know if this listing of pools was helpful. 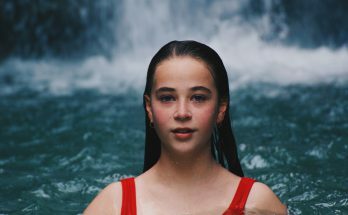 Previous Article Are Swimmers Typically Dehydrated?